This brand new, thrilling adventure from bestselling 'Horrible Histories' author Terry Deary brings the closing days of the First World War to life. Perfect for fans of Michael Morpurgo and John Boyne. It's 1918 and the Great War is entering its final phase. In northern France, y... read full description below. Horrible Histories author Terry Deary tells the story of the last year of the First World War. Set in France, this fast-paced adventure features a young French girl, a young German boy and a traitor with a silver hand. Packed full of historical detail, it's a real page turner. 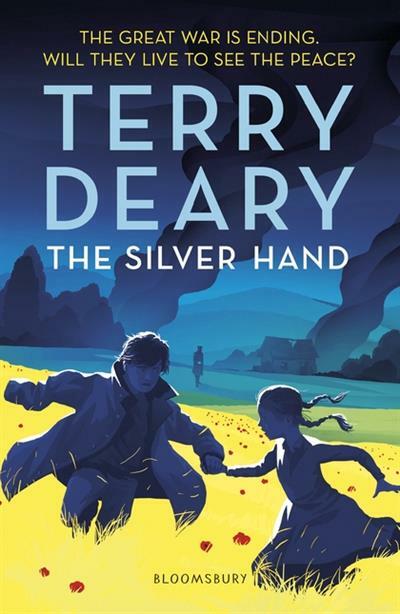 Terry Deary is the author of over 300 fiction and non-fiction books, which have been published in 32 languages. His historical fiction for older children Tudor Terror has been praised as 'a marvellous blend of fact and fiction' (School Librarian). His non-fiction has been consistently in the best-seller lists since 1994. His Horrible Histories celebrated their 15th anniversary in 2008, having sold over 10 million copies worldwide and been adapted as television series, theatre tours and museum exhibitions. Terry Deary was voted 'Outstanding children's non-fiction author of the 20th Century' by Books for Keeps magazine.